For readers of Between Shades of Gray and All the Light We Cannot See, bestselling author Ruta Sepetys returns to WWII in this epic novel that shines a light on one of the war's most devastating--yet unknown--tragedies. Just when it seems freedom is within their grasp, tragedy strikes. Not country, nor culture, nor status matter as all ten thousand people--adults and children alike--aboard must fight for the same thing: survival. Told in alternating points of view and perfect for fans of Anthony Doerr's Pulitzer Prize-winning All the Light We Cannot See, Erik Larson's Dead Wake, and Elizabeth Wein's Printz Honor Book Code Name Verity, this masterful work of historical fiction is inspired by the real-life tragedy that was the sinking of the Wilhelm Gustloff--the greatest maritime disaster in history. As she did in Between Shades of Gray, Ruta Sepetys unearths a shockingly little-known casualty of a gruesome war, and proves that humanity and love can prevail, even in the darkest of hours. 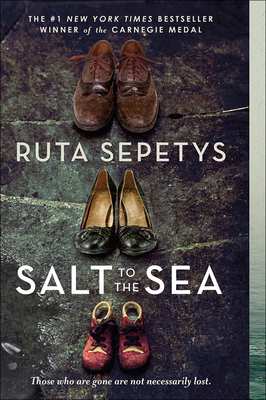 Ruta Sepetys (www.rutasepetys.com) was born and raised in Michigan in a family of artists, readers, and music lovers. She is the award-winning, bestselling author of Between Shades of Gray and Out of the Easy. Ruta lives with her family in Nashville, Tennessee. Follow her on Twitter at @RutaSepetys.